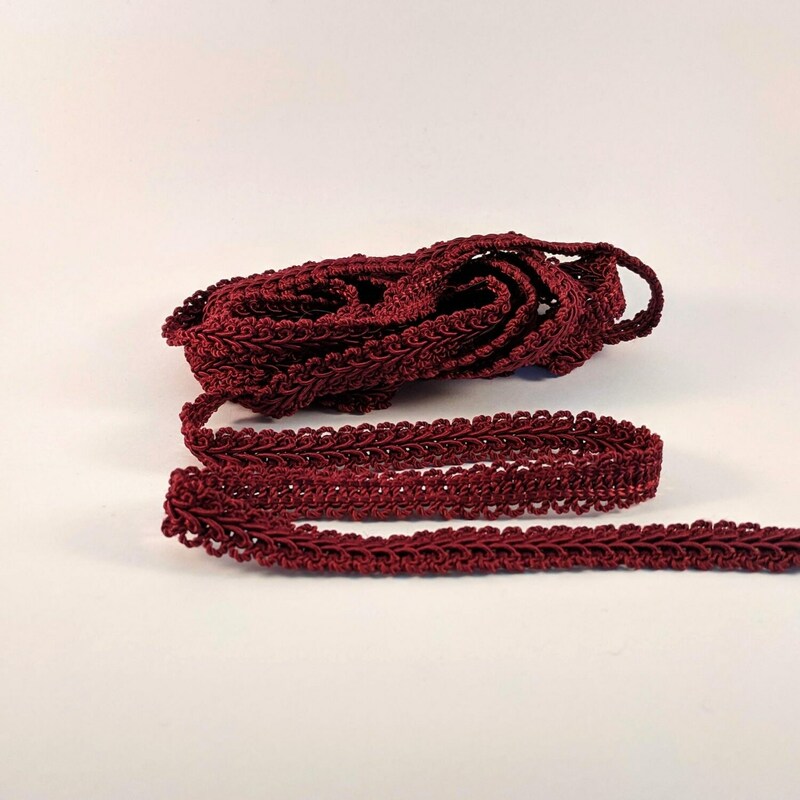 Traditional 1/2" French gimp trim in burgundy that is great for doublets, capes and pouches. Also, looks good on glove cuffs and when used as hat bands. 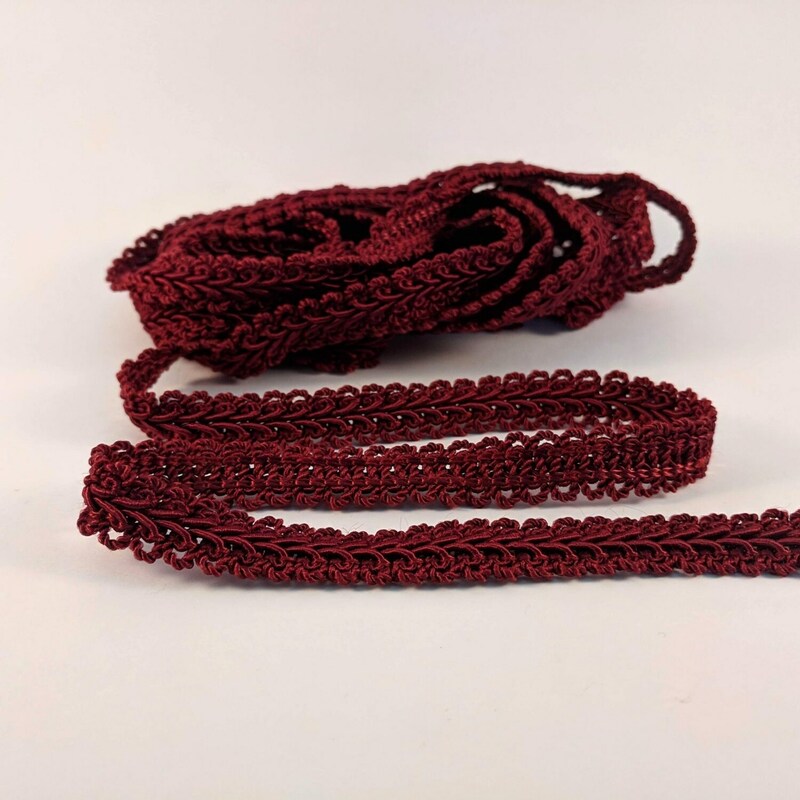 $2.00/yard - Only 3 yards left! Made in the USA by Conso! 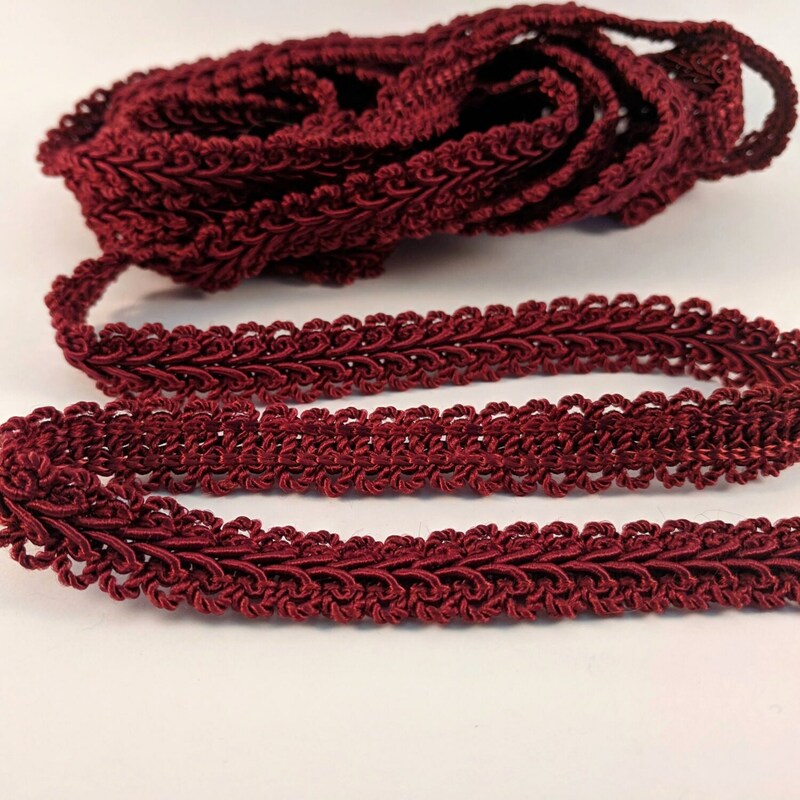 You can find other trims in the Trims & Ribbons section.